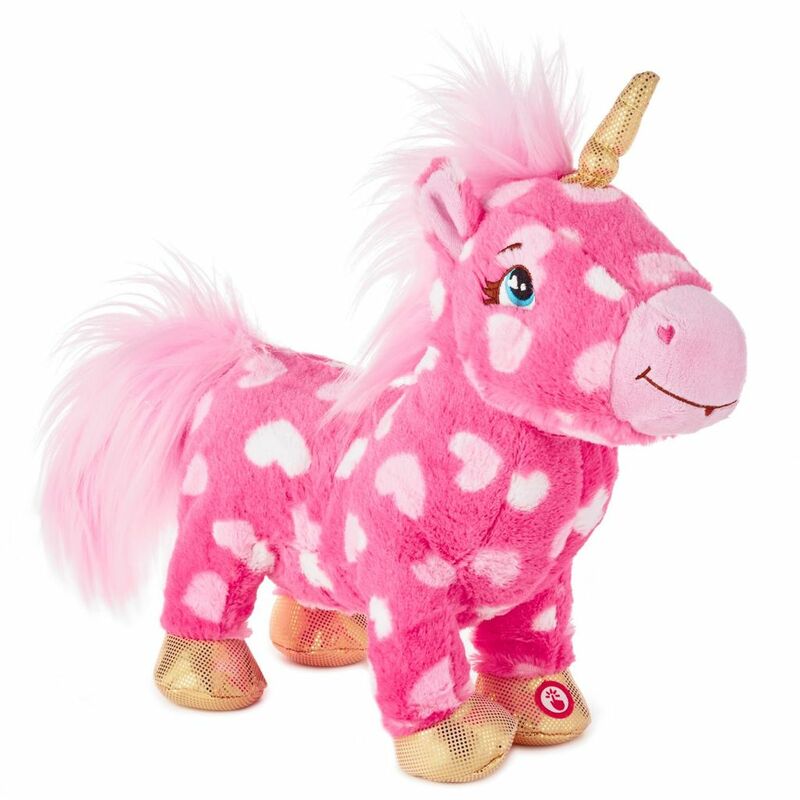 Fill someone's day with magic when you give them this cute gift for Valentine's Day or any day. 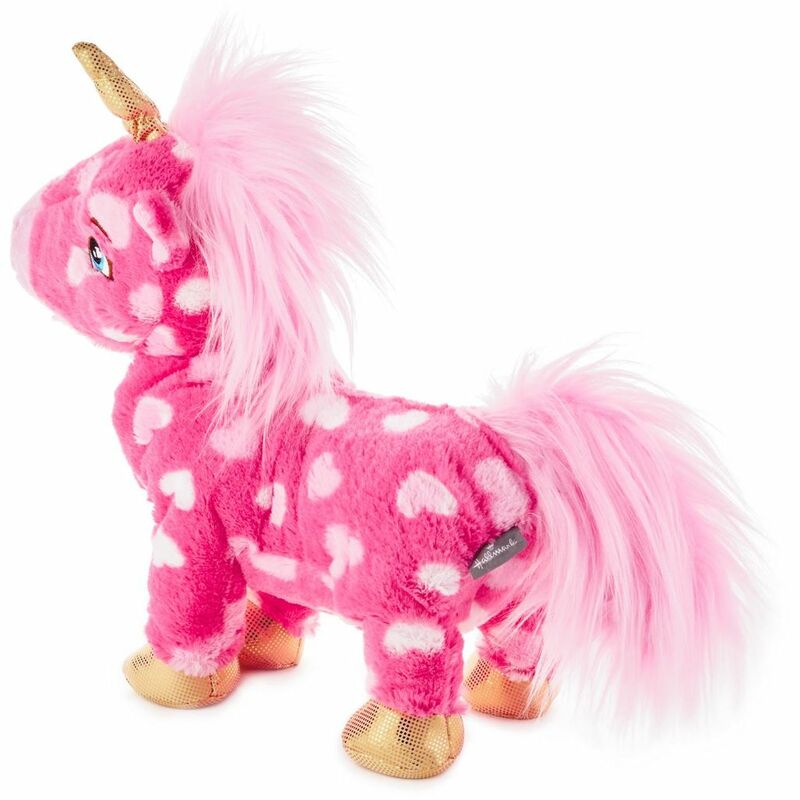 Our pink unicorn stuffed animal features a pattern of little hearts and a gold metallic horn and hooves. Press a button to watch this magical plush sing and dance to a fun parody version of the song "Magic." 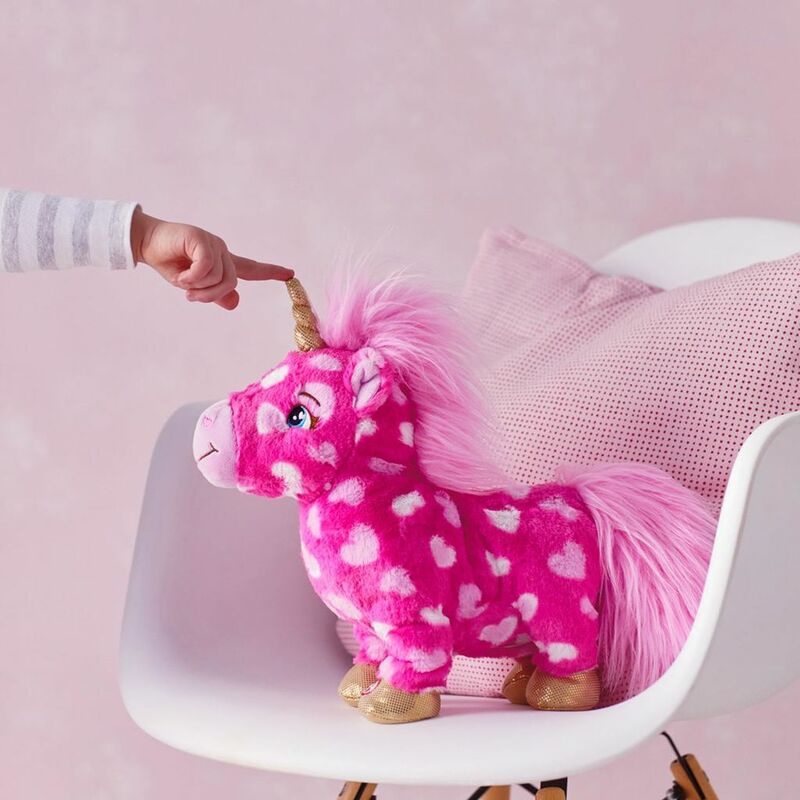 Plush pink unicorn with heart pattern moves, dances and sings to a fun parody version of the song "Magic." Requires three (3) AA batteries, included.